How do you move on when the world won't let you? Six minutes in the wrong place at the wrong time—that's all it took to ruin Sydney detective Ted Conkaffey's life. Accused but not convicted of a brutal abduction,Ted is now a free man—and public enemy number one. Maintaining his innocence, he flees north to keep a low profile amidst the steamy, croc-infested wetlands of Crimson Lake. There, Ted's lawyer introduces him to eccentric private investigator Amanda Pharrell, herself a convicted murderer. Not entirely convinced Amanda is a cold-blooded killer, Ted agrees to help with her investigation, a case full of deception and obsession, while secretly digging into her troubled past. 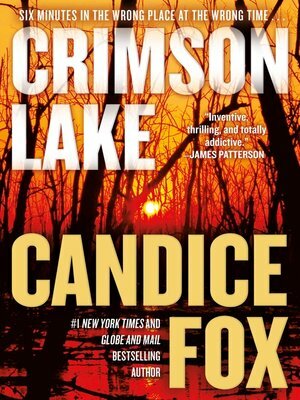 The residents of Crimson Lake are watching the pair's every move . . . and the town offers no place to hide.